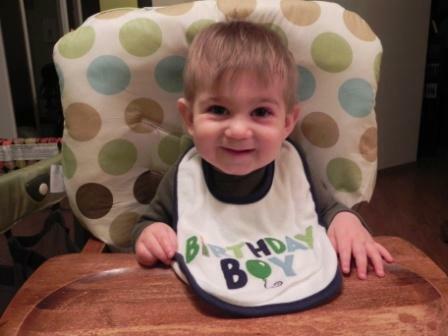 Last week was my son’s first birthday. It was so surreal and so amazing at the same time! We decided not to have a party for him last weekend because our family lives out of state and we will be doing a party with them at Thanksgiving. 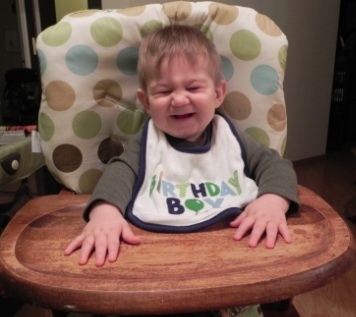 But, we still wanted to celebrate our little man’s special day. So, one of my girlfriends came over to hang out and we gave him a cupcake and let him have fun. He was very excited about this. Yep, that’s his excited face. Hysterical, isn’t it? 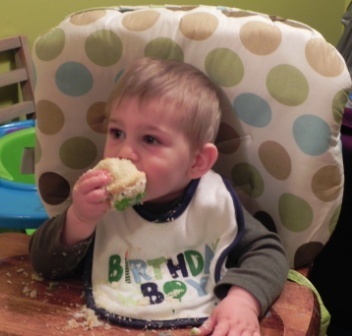 When we gave him his cupcake, instead of digging right into all the frosting, he knocked it over and started eating the cake instead. 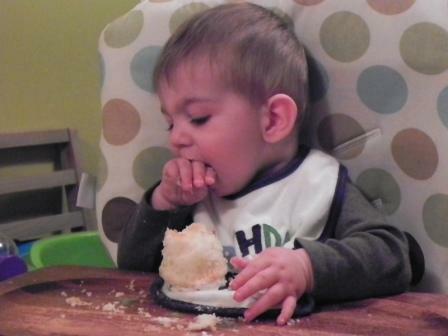 I tried to get him to eat the icing and get all messy with it, but he just didn’t want to touch it. Who would have thought a kid would refuse frosting? Oh, well. 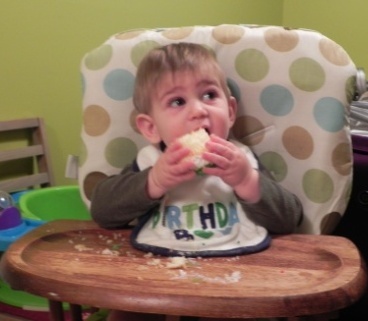 He still got pretty messy eating the cake. 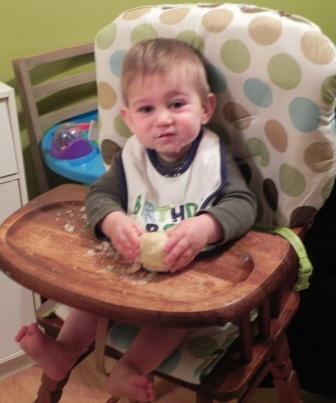 It was fun to watch him progress from picking at it with his fingers to finally picking the whole thing up and shoving it in his face. 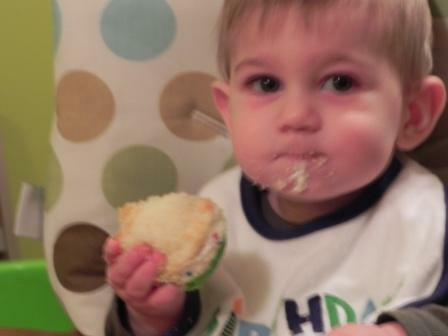 All in all, it was a great first birthday for my little man! 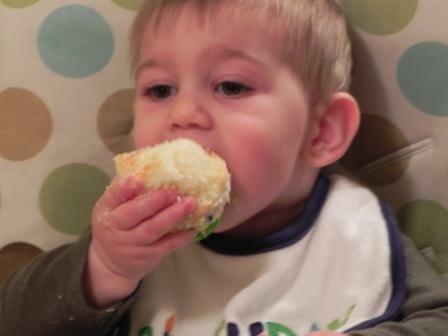 Here is a short video of our little monkey in action enjoying his cupcake. 2 Responses to "First birthday update"